A new photo still from the first episode of Hawaii Five-O. A photo from the Jeff Blair Fitness blog and the associated article. 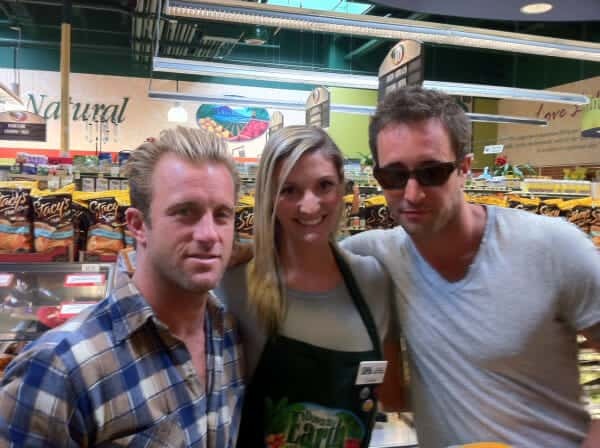 Alex and Scott Caan stopped by a health food store and an employee shared a pic on twitter. Muffie: My thoughts exactly re R. Pattinson. Who is voting? Some 12 year old? REAL MAN is right! I’m glad I could make your day, Muffie. Could you do something to improve mine, like send me on a trip, to say, Oahu? That ought to do it! OK, Ladies, we cannot take this lying down 😉 . Alex is in third place, and the top 2 are children. Please vote! I agree. I spent a couple of hours doing my bit yesterday and plan to do the same each day. Of course, not everyone has that much time on their hands BUT if every one of Alex’s fans voted, he’d win hands down. Come on ladies. Show this man HOW MUCH you :heart: love :heart: him!! I’ve just been on the website voting for our guy and he’s still in 3rd place. I’m beginning to think it might be rigged (just kidding). I mean Robert Pattinson is in 2nd place. You’ve got to be kidding. 👿 REALLY!!! Look at him for heavens sake. How on earth could Alex lose out to him? ;-( Why does he always were girls sunglasses? Did he lose the ones from Moonlight? He really likes having his pictures taken, and always talks about his apprance. I think he needs to get Amber back in his life. I thought he broke it off with her but maybe it was the other way around? Does it really matter what he wears? He works very long hours and has the right to dress in whatever he’s comfortable in when he’s relaxing. It’s not as if he was doing a photo shoot, he was out shopping! The same goes for his love life. Whatever happens in his relationships is HIS business. We all adore him but we DO NOT own him. Please! give him a break. OMG.. I new I would ruffel some feathers. He has the right and $ to doe what every I realize that. I’m not just refering to the pics here, so many of his pics he is wearing girls sunglasses, maybe I am the only one wondering why. I could care less about his personal life, your right it’s not my bussiness, but maybe he needs a female to help with the wardrobe!! Don’t be so evil 👿 GEE!! My apologies. I have only seen a few pictures of Alex wearing sunglasses, and haven’t really noticed them. As for his wardrobe..I have noticed that usually when he is out in public, he looks immaculate. Mind you, I think he would good if he was wearing a paper bag! Again, I apologize for getting hot under the collar – I’ve had a very very bad day. Sorry I took it out on you. . Right you are Pamela. Had a “news feed” on my facebook page this morning regarding the new promo for H50. Have you seen it? lovely pics, thank you for sharing. happy birthday to you alex! have a lovely day! Happy birthday Alex:) i wanna meet u sooooo bad in Hawaii!!! I know and yur so right Pamela.. Hey have u met him in person? 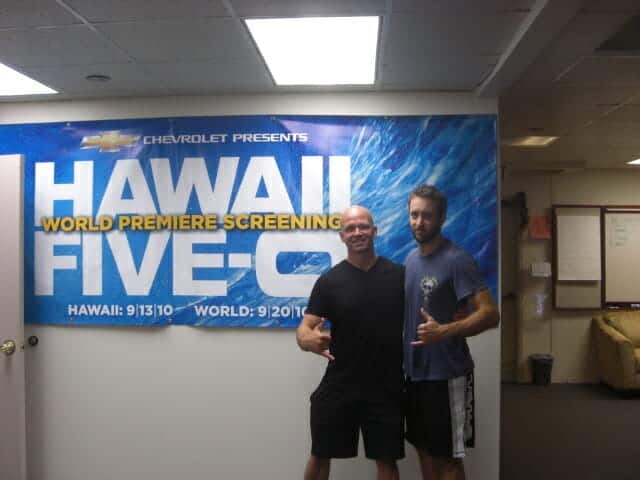 I did vacation on O’ahu back in July and was there the first day they started filming. Funny, for a small island and spending a lot of time in Ala Moana Beach Park, and other regular locations, all we saw were some CBS techie trucks up Tantalus Drive! So close….. Still we had a great time and the garlic shrimp and A’wa smoothies were to die for!! Thanks for sharing these latest photos of Alex, Tiffany. I look forward to them. Alex has a birthday next week! LL Cool J. It’s the Kensi character. The two SEALS should be working together !!! Muffie: We can only hope! Thanks so much for these great pix Tiffany. You’re making the long wait til Season 2 so much easier to bear. Alex looks fab and how lucky is that girl in the store???? I’m so green with envy. Thank you so much for the photos. I guess from the way season one ended, there will be a prison scene with Alex in it. That’s the reason for the orange. Wish I was vacationing on Oahu also. Can’t wait for season two to start. Love ya Alex, you roc. I guess this confirms it…Alex IS wearing orange because he is doing a scene set in prison. This has been one of the longest summers – even with the repeat episodes of 5.0. I am so envious 👿 of my friend’s daughter who is vacationing on Oahu right now. Wish it were me. The season 2 premiere can’t come soon enough. Thanks Tiffany :p for posting another great photo. I am so looking forward to seeing the cast again and getting caught up in the episodes. Especially the carguments. Alex is looking good as usual. Behind the Scenes – Watch Photo Shoot!